Today was our final resupply. 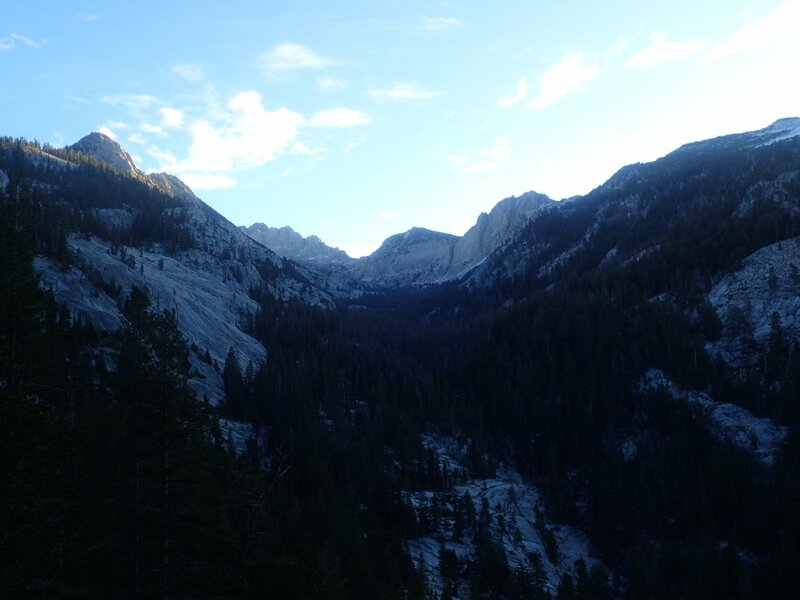 We woke up to a cold morning and got going before sunrise to hike down to the ferry to Vermillion Valley Resort. There is only one ferry in the morning and one in the afternoon, so we wanted to make sure to get the morning ferry. We were at VVR by 10 am, and enjoyed hot breakfast and a free beer. I sent a package here in June before we exited the Sierra. I emailed them to see if they would hold my package but never heard back, so we just kept hiking. We weren’t sure if the box would be there, and it wasn’t. However, they have a massive hiker box. 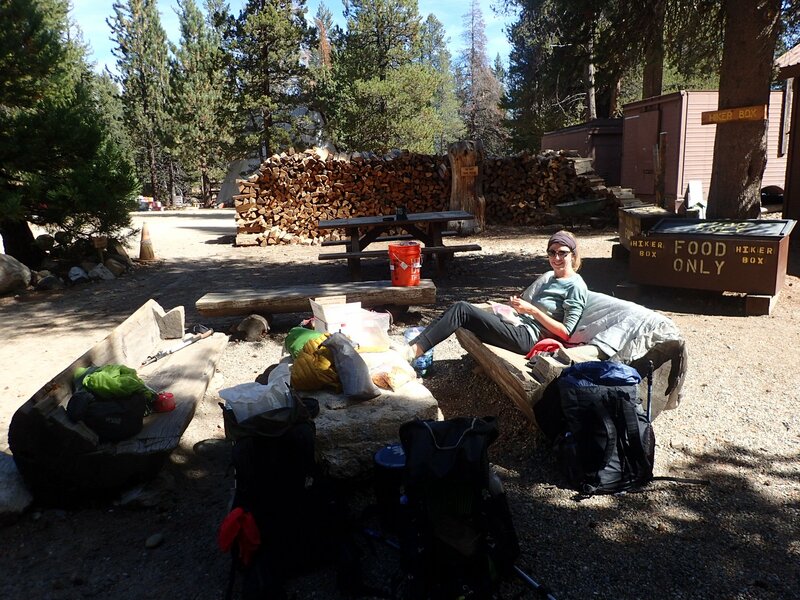 Stocked with food from unclaimed packages and extra items left behind from the overburdened JMT hikers, this is the best hiker box we’ve seen on trail. We were able to resupply entirely from the hiker box, and we even found a few of our items from the box we sent here. 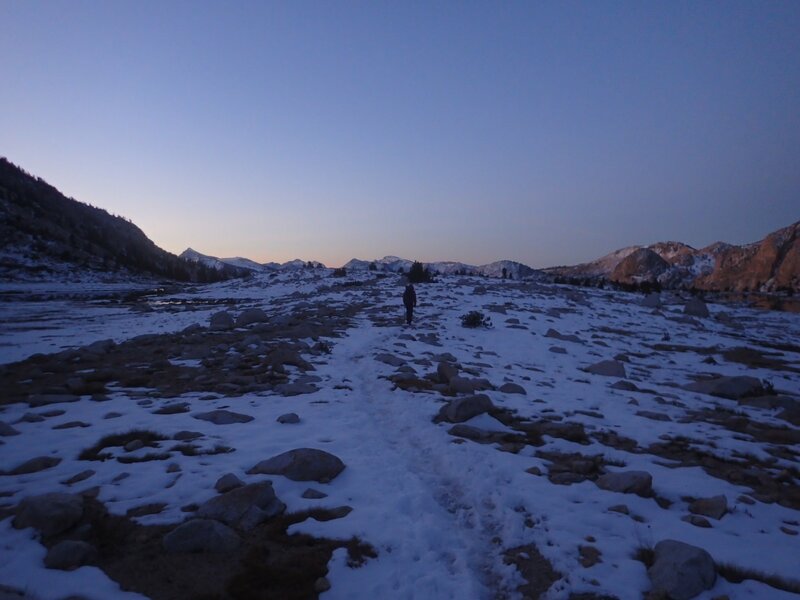 ( The JMT is the John Muir Trail, a 200+ mile trail that is concurrent with the PCT for over 100 miles through the high Sierra). We had time to kill before the afternoon ferry, so we talked with the other hikers. We meet a 78 year old hiker who has hiked the JMT 14 times! Finally we got on the ferry and hiked the short distance back to the PCT and set up camp for the night. We had a relaxing evening and a campfire, and enjoyed a much warmer night than last night.